The carpet pad manufacturing industry produces a broad variety of carpet cushion styles. Carpet pad is produced of both synthetic and man-made fibers. Carpet Cushion is Environmentally Friendly. 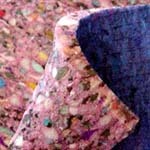 Today, much of this cushion is produced from recycled materials. The carpet cushion industry has become green for they continue to become more-and-more environmentally friendly with their carpet pad manufacturing methods. Bonded cushion from trim generated by polyurethane fabrication facilities that serve industries such as furniture and bedding. Natural felt cushion is routinely manufactured from recycled burlap bags. Synthetic felt cushion is manufactured with recycled carpet waste as its major component. Textile fiber cushion is made from recycled clothing and other post-consumer textile fibers. Urethane or polyurethane carpet cushions represent the greatest number of cushion products used for carpet pad manufacturing. Most of us would believe that urethane or polyurethane cushion contains a blend of the chemical urethane. The fact is, there is no urethane chemical in urethane cushion. This is not a conspiracy of the carpet pad manufacturing business,. 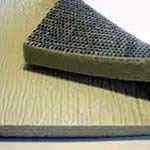 The carpet pad manufacturing industry uses the name urethane as used in the plastics industry. Urethane has been designated due to the repeating units of its structure which resembles the chemical urethane. Urethane in the plastics industry gets its name because it is generally a polymer connected by urethane groups. Urethane linkage and its supplements are a result of the reaction of polyol and isocyanate, whereas the chemical urethane is a colorless, crystalline substance used primarily in medicines, pesticides, and fungicides. While this is one of those pieces of information that you will not use everyday and may be of little interest to the end-user, a professional should be aware of it should the situation arise. Carpet pad manufacturing of prime cushion products uses flexible polyurethane foam slabstock chemistry. Support, durability, and firmness characteristics are routinely enhanced by chemical additives. Color is routinely added to the chemical mixture to provide identity to products. Prime cushion is produced by mixing water, conventional polyols and isocyanates to begin a rapid chemical reaction. This results in carbon dioxide gas, which forms tiny bubbles throughout the liquid mixture. As the gas expands, the polymeric mixture rises like a loaf of bread. The bubbles that form by this reaction will quickly burst allowing the carbon dioxide to escape from the foam leaving behind a uniform cellular structure. The chemical’s mixture is then developed into slabstock or logs. The slabstock production process is a continuous process where the reacting foam chemical mix is dispensed on to a moving conveyor belt. The expanded foam develops in long flat loafs or buns (normally six feet wide). The buns are slit to the desired size, much like you would slice a loaf of bread. The log production process involves developing the urethane in a cylinder shape referred to as a log. These polyurethane logs are peeled into the desired thickness, much like you peel plywood veneer from a log. With both the slit (slab stock) and peeled (logs) varieties, a facing material referred to as scrim is laminated on one side to provide stability and a surface for the carpet to be stretched across. The lamination process bonds the foam and scrim together into a single composite. Bonding is accomplished through adhesives or through heat processes like flame lamination (also known as flame bonding), which bonds the foam to a fabric or other material (film, etc.). This process melts one surface of the foam with a flame source and quickly presses it to the other substrate before the melted material resolidifies. This is the basic prime cushion and represents the basic industry technology. It is much softer, with many air-filled compartments with multiple open windows which are formed by the surrounding network of elastic struts. This product will not perform as well as the better prime products. This cushion provides a unique under foot feel. With densified prime the vertical compression is limited by the oriented cell thickness. The basic concept in densified prime is that vertical struts are stunted and the cell shape is flattened in directional orientation. The vertical compression is limited by the oriented cell thickness at a specified firmness. This is accomplished through controlling the foam rising action through mechanical or chemical technologies. In this cushion, part or all of the conventional polyol is substituted with a special polyol. This special polyol, referred to as a polymer polyol, graft polyol or copolymer, contains minute polymer particulate of styrene and other monomers which extends the harness range beyond that of conventional prime. With the exchange or addition of these reinforced polyols the hardness range of a grafted prime is extended far beyond that of the conventional prime products. Prime urethane carpet cushions are manufactured in a variety of products of varied density and firmness. They are normally produced in 6 foot widths in thicknesses of 1/4″ to 9/16″. Of these products the Cushion Council which sits industry standards for carpet pad manufacturing, states: “The best products are those which combine the right balance of properties for comfort and durability.” For a stretched in carpet, this would be a quality cushion that is firm and not thicker than 7/16 inch. Frothed urethane foam cushions are made from a process originally developed to apply cushioned backings to carpet. Air bubbles are introduced by mechanically beating the chemical solution. The solution is solidified by heat and then fabricated into sheets of a predetermined thickness. A facing material is laminated on one side to provide stability and a surface for the carpet to be stretched across. 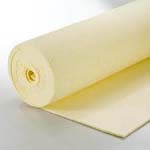 Urethane foam cushioning is applied to a sheet of non-woven material, forming a carpet cushion product with a typically higher density and firmer feel. What is High Resilience (HR) Foam? This is a variety of polyurethane foam produced using a blend of polymer or graft polyols. High resilience foam has a less uniform (more random) cell structure different from conventional products. The different cell structure helps add support, comfort, and resilience or bounce. High resilience foams have a high support factor and greater surface resilience than conventional foams and are defined in D3770. 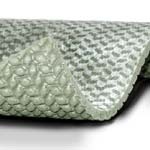 Bonded foam cushions, which are referred to as rebond, are made by combining shredded or chopped pieces of scrap through a fusion process into a single sheet of material. Many grades of bonded cushion are considered to be among the best performing and highest quality carpet cushion products. Bonded cushion production starts with scrap that is a by-product of foam manufactured for furniture, mattress, auto and other uses. If you are looking for mattress reviews check out this Sleeping blog. The scrap is sorted by quality and mixed with resins. The mixture is pressurized and injected with steam to form a large block or foam cylinder. The block or cylinder is slit or peeled to its desired thickness. It is at the point of sorting and steaming that much of the differences in bonded polyurethane cushion quality will take place. A cushion that steams longer will generally be a better cushion than one that has moved through this process at a quick pace. Soft scrap without hard pieces and lumps will generally compact better and produce a better cushion. The CRI (Carpet and Rug Institute) recommends for residential installation a minimum density and thickness for bonded urethane of 5#, 3/8″ and a maximum thickness of 7/16″ for light traffic and 6.5# for heavier residential traffic. As these are minimum guidelines, one would be wise to consider upping that to a minimum of 7#. For a commercial installation the density should be at least 12# for optimal performance. A bonded urethane foam pad has a lesser wear value with the increase of thickness above about 3/8″ and as the firmness decreases. Therefore when you compare the density of the cushion, also compare the composition and firmness to make sure that you are selecting a densely compacted product and not one that is full of heavy scrap and voids or very soft with little resilience. Varieties of this type of cushion are produced from both natural and synthetic fibers. Natural fibers include animal hair, jute, hair & jute blends and rubberized hair and/or jute. Many of the cushions contain recycled material such as jute reclaimed from various forms of burlap. Synthetic fibers include nylon, polypropylene and polyester. These cushions are most commonly used under commercial carpet and some berber carpet. They are made in widths up to 12′ and in weights from 32 to 85 ounces per square yard. Both natural and man-made fiber cushions are produced in a couple of different ways. Some are manufactured by a process that basically steams and presses the materials until they become matted into a flat, uniform, felted like surface. Other cushions of this variety are produced by intermingling through a needle bond process, much like that of felt-like outdoor carpets. The needle-bonded products are smoother and easier for the installer to cut. Natural and man-made fiber cushion grades are measured by weight in ounces per square yard. When using a fiber or felted style cushion you should not exceed a thickness of 7/16″. 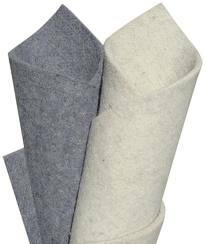 A fiber pad should never be too thick or too low in density; in fact, a thick felted pad while more expensive than a thin felted pad has a decreasing value to wear ratio as it exceeds about 7/16″ in thickness. It also has a decreasing value to wear ratio as the density decreases below about 48 ounces per square yard. Flat Sponge (Slab Rubber) has a flat surface without the ripples. Rippled Sponge (Waffle Rubber) has a rippled or waffled surface. Sponge cushion is manufactured with both synthetic and natural rubber along with other chemicals that include both oils and fillers. The mix expands when air is mixed into the batch by chemical means and is formed into either a flat or rippled slab. A material is bonded to the surface and this adds stability and provides a surface that the carpet can be stretched over. These cushions are made in widths up to 12′ and in weights between 41 and 120 ounces per square yard. A variety of cushions from sponge to needle-bond synthetics have been produced for these installations. On double stick installations it is important that the carpet manufacturer’s specification for carpet cushion has been adhered to. The Carpet Cushion Council is an industry leader when it comes to carpet pad manufacturing, and they make the following selection recommendations. 1. The heavier the traffic, the thinner the cushion. In heavy traffic areas like hallways, stairs, rooms with lots of activity and rooms with heavy furniture, such as dining rooms, choose thinner (3/8 inch and less) and heavier cushion to better protect the carpet. 2. For bedrooms, dens, and areas where a more luxurious feel is desired, thicker and more resilient cushion can be used. But again, it’s best to go with higher ounce weight or higher density products to help make the carpet last longer. 3. Visual appearances of cushion are nice, but remember, once it’s installed, you’ll never see the cushion again. Pay more attention to ounce weights, densities, and thickness when buying. 4. Don’t scrimp. Remember, your new floor covering is a system of both carpet and cushion. If you cut corners on cushion, you could be cutting the usable life of your carpet. 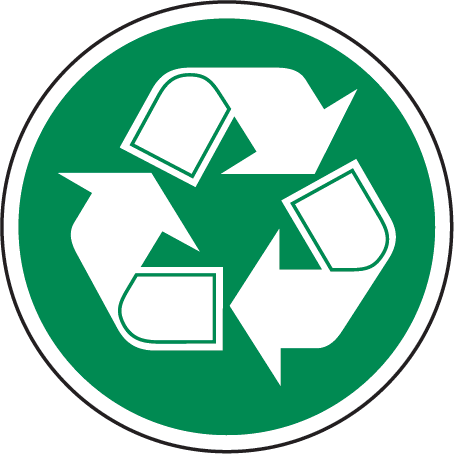 I am looking for a textile recycling center that pays per pound for textiles. Do you know of such?